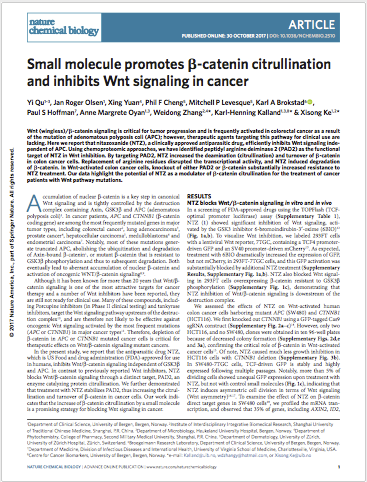 Small molecule promotes β-catenin citrullination and inhibits Wnt signaling in cancer. Yi Qu, Jan Roger Olsen, Xing Yuan, Phil F Cheng, Mitchell P. Levesque, Karl A. Brokstad, Paul S. Hoffman, Anne Margrete Oyan, Weidong Zhang, Karl-Henning Kalland, Xisong Ke. 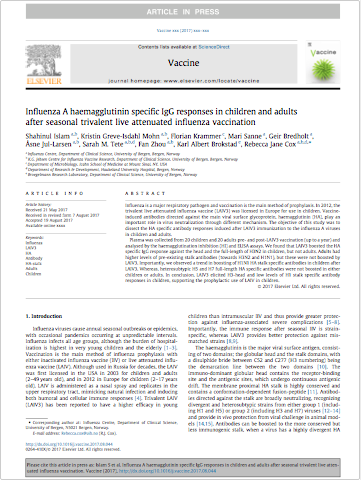 Influenza A Haemagglutinin (HA) Specific IgG responses in Children and Adults After Seasonal Trivalent Live Attenuated Influenza Vaccination. Islam S, Mohn KG, Krammer F, Sanne M, Bredholt G, Jul-Larsen Å, Tete SM, Zhou F, Brokstad KA, Cox RJ. Vaccine. 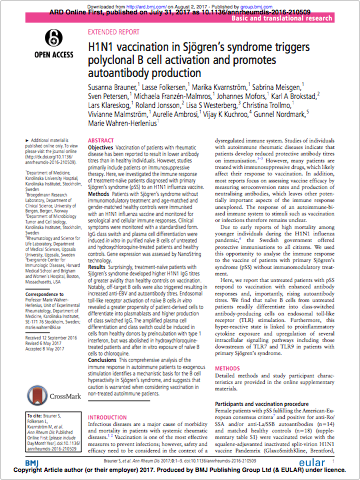 2017 Sep 9. pii: S0264-410X(17)31132-5. doi: 10.1016/j.vaccine.2017.08.044. Jonsson Maria K, Nordal HH, Hammer HB, Sundlisæter NP, Aga AB, Olsen IC, Brokstad KA, Kvien TK, Fevang BTS, Lillegraven S, Haavardsholm EA and the ARCTIC study group. Ann Rheum Dis. 2017 Aug 16. pii: annrheumdis-2017-211695. 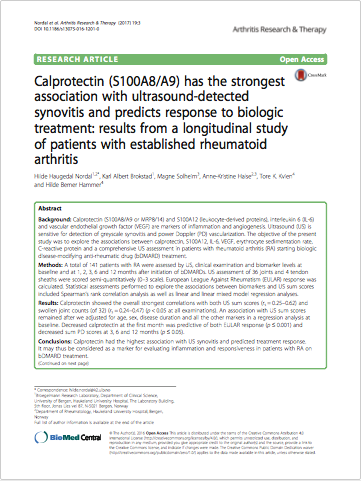 doi: 10.1136/annrheumdis-2017-211695. Brauner S, Folkersen L, Kvarnström M, Meisgen S, Petersen S, Franzén-Malmros M, Mofors J, Brokstad KA, Klareskog L, Jonsson R, Westerberg LS, Trollmo C, Malmström V, Ambrosi A, Kuchroo VK, Nordmark G, Wahren-Herlenius M.
High intake of fatty fish, but not of lean fish, improved postprandial glucose regulation and increased the n-3 PUFA content in the leucocyte membrane in healthy overweight adults: a randomised trial. 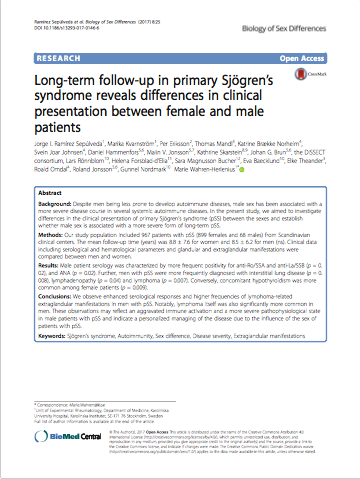 Helland A, Bratlie M, Hagen IV, Mjøs SA, Sørnes S, Ingvar Halstensen A, Brokstad KA, Sveier H, Rosenlund G, Mellgren G, Gudbrandsen OA. Br J Nutr. 2017 Jun 13:1-11. doi: 10.1017/S0007114517001234. 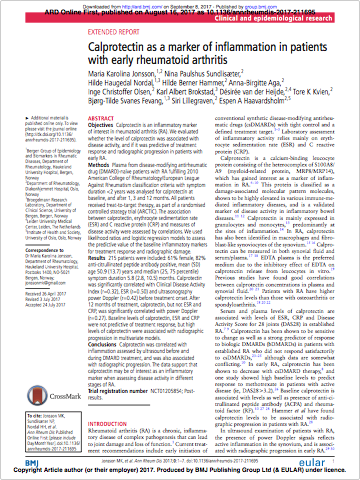 [Epub ahead of print]. 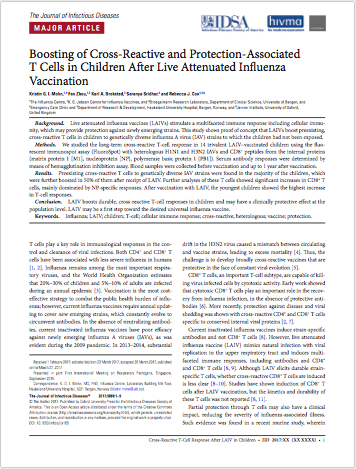 Boosting of Cross-Reactive and Protection-Associated T Cells in Children After Live Attenuated Influenza Vaccination . Mohn KG, Zhou F, Brokstad KA, Sridhar S, Cox RJ. J Infect Dis. 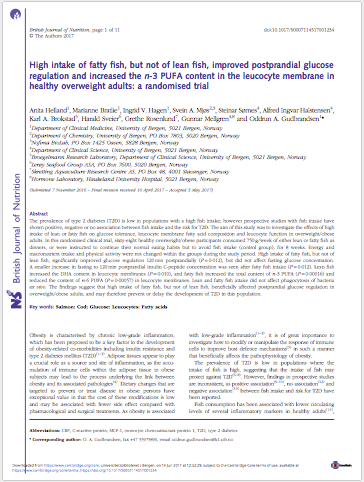 2017 May 15;215(10):1527-1535. doi: 10.1093/infdis/jix165. 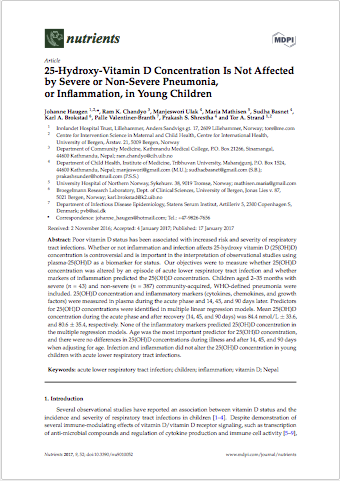 25-Hydroxy-Vitamin D Concentration Is Not Affected by Severe or Non-Severe Pneumonia, or Inflammation, in Young Children. Haugen J, Chandyo RK, Ulak M, Mathisen M, Basnet S, Brokstad KA, Valentiner-Branth P, Shrestha PS, Strand TA. Nutrients. 2017 Jan 17;9(1). pii: E52. doi: 10.3390/nu9010052. 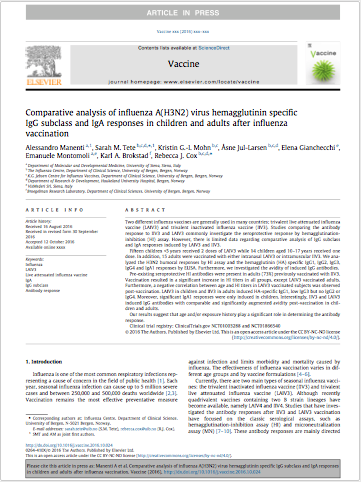 Comparative analysis of influenza A(H3N2) virus hemagglutinin specific IgG subclass and IgA responses in children and adults after influenza vaccination. Manenti A, Tete SM, Mohn KG, Jul-Larsen Å, Gianchecchi E, Montomoli E, Brokstad KA, Cox RJ. Vaccine. 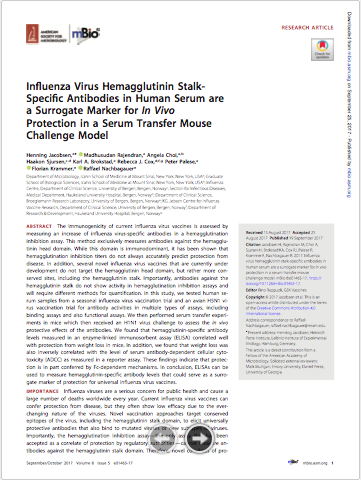 2017 Jan 3;35(1):191-198. doi: 10.1016/j.vaccine.2016.10.024.